August was a busy month for all of us here at Warren Elsmore, as we welcomed thousands of visitors to our ‘Brick City- The Backstage Tour’ as part of the Edinburgh Fringe Festival. For one month only we moved our studio into the Scottish Historic Buildings Trust's newly refurbished headquarters at Riddles Court, just off the famous Royal Mile, right in the heart of 'the fringe'. 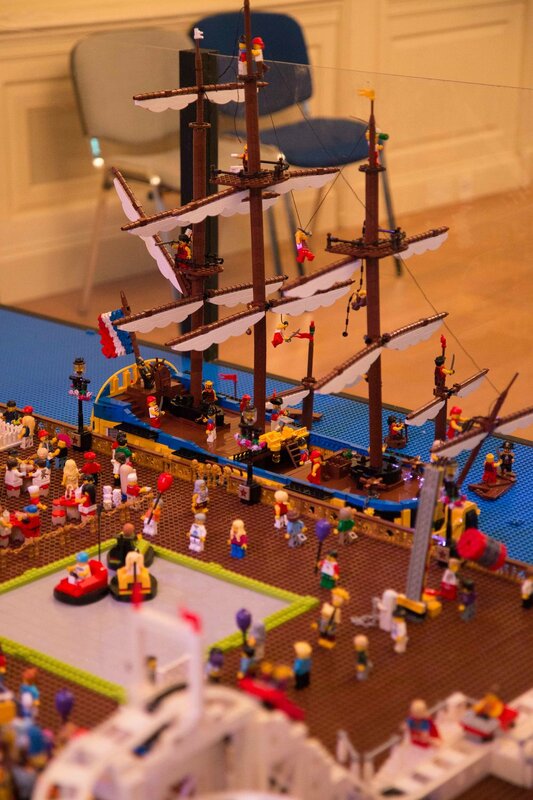 Visitors toured through a working professional LEGO model making studio, which included talking to the team, seeing models being built in the workshop, a question and answer session, and then finally a look at our developing LEGO display. 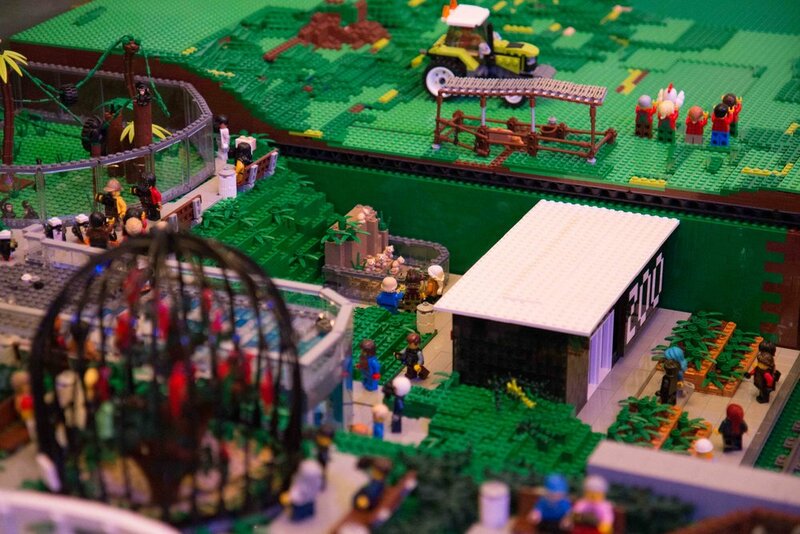 We showcased the many ways you can design and build in LEGO, to give an insight in what its like to have one of the best jobs in the world - "being paid to play with LEGO". We also used the opportunity to build some models we have been planning in our heads for years. One downside of building mainly commissioned models is that we are always building models for clients, and we rarely get the chance to build models "just for the sake of it". August and the Backstage Tour gave us the opportunity to put a lot of those ideas, designs, and in some cases dreams, into LEGO. Each day of the 22 day event we completed different 'dream' models, which in turn became part of our city display. 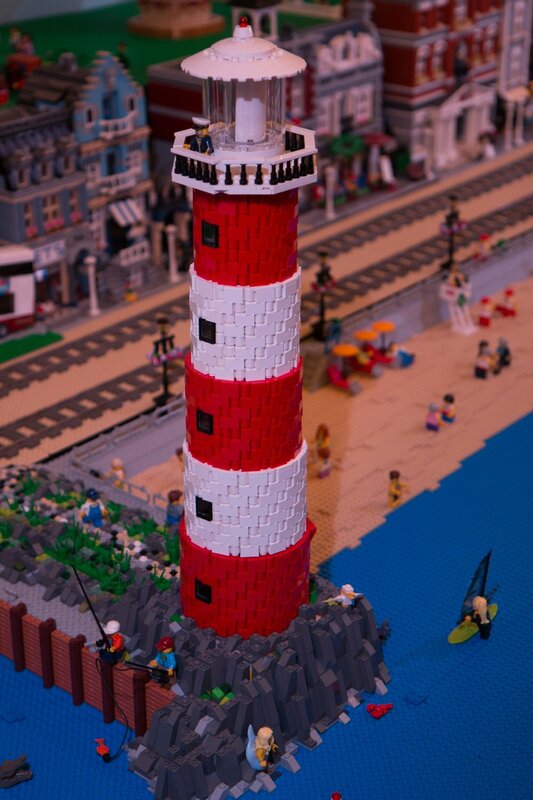 We had real fun with a mixture of fictional models, along with some local landmarks, recreated in LEGO. 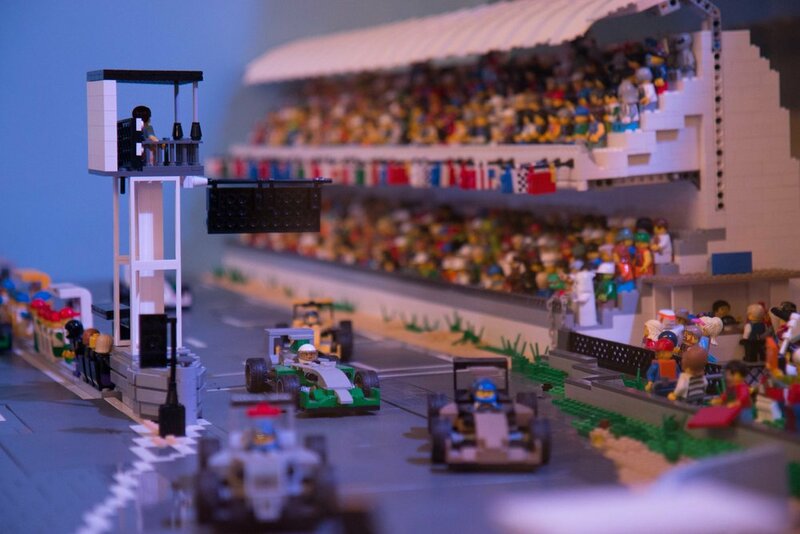 We also used some of our favourite LEGO sets, either to fill in a few gaps in early days, or as enhanced, larger, motorised, or illuminated versions - it's always fun when visitors spot what you can do with models they have at home. Our finished city display included a lunar observatory, French galleons, a hot air balloon festival, a construction site, a coastline with cliffs, a beach with a pier and a seaside funfair, railways, rolling landscapes and formal gardens, a towering TV transmission mast, a huge airport, a Formula 1 grandstand a track, suburban housing, and much much more. 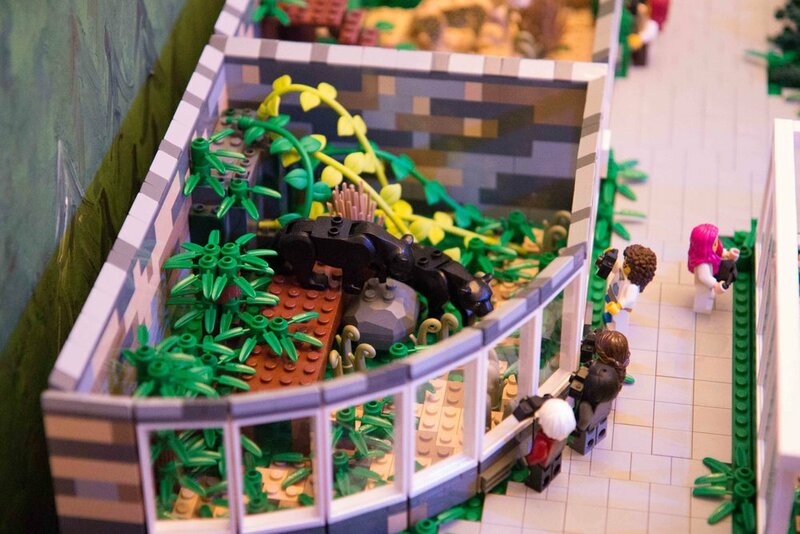 Several Edinburgh landmarks were included too: Ramsay Garden, the Camera Obscura, sections of Edinburgh Zoo and the Botanical Gardens, and even some specially commissioned Lothian busses for the minifigures to travel on! Visitors took part in a treasure hunt as we had carefully hidden lots of special minifigures around the display. We welcomed thousands of visitors, we talked to many international guests, we spread the passion for building in LEGO, we gave tips and tricks from the workshop, gave insights into LEGO building as a career... and we had a whole lot of fun doing it - what more could you ask for?